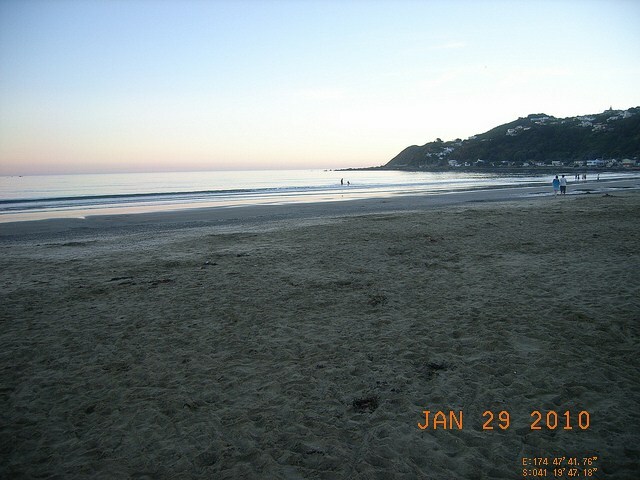 Lyall Bay is one of Wellington’s most popular beaches. It is very accessible to all Wellington people and is on the main bus route. Surfers are the largest beach user at Lyall Bay and can be found here year round if there is a swell running. The beach is generally safe for swimming during summer although cold. Swimmers should remain around the centre of the beach where conditions are safest and the Lifeguarding Service is provided. This beach is well suited for families with great facilities and patrolled by Surf Lifeguards over the summer months. Make sure your family is prepared for the beach conditions. 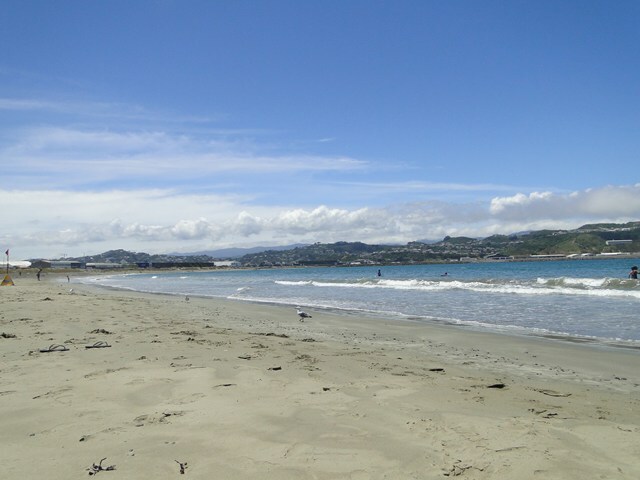 Lyall Bay is a popular swimming spot during the summer months with local residents. The beach slopes gently into the ocean and swimmers can get some distance into the ocean before reaching water out of their depth. The beach is patrolled by Lifeguards over summer weekends from early November to late March. There is a Professional patrol for three weeks during January. The beach is generally safe for swimming but southerly swells can create dangerous waves. Rips and holes are not common on the central beach but do form around the headlands. Surfing at Lyall Bay is popular. The entire beach is surfable during a southerly swell and good bars form from time to time along the beach. The breakwater along the eastern headland (“The Wall”) generally has good bars and a nice left hand wave that is popular. Surfers and bogie boarders form the majority of beach users at Lyall Bay. The beach has jet ski lane at the eastern end of the bay and is frequented by wind surfers in strong onshore winds. Lyall Bay is not a popular fishing location. There is a boat ramp at the western end where small boats can be launched and good fishing and diving reached. Fishing is not popular. The eastern end from the rock wall is popular for fishing but this is very dangerous when there is a wave breaking. The beach is our favourite playground, but it can also be a dangerous place. Learn about the hazards at Lyall Bay and be prepared so you and your family can enjoy the sun, sea and sand safely this summer. Lyall Bay is a patrolled beach. Lyall Bay Beach is patrolled on Saturdays, Sundays and Public Holidays from 12:00pm to 6:00pm between 8 December 2018 and 24 February 2019. A Regional Lifeguard Service is provided Monday to Friday from 11:30am to 6:30pm during 17 December 2018 to 25 January 2019. 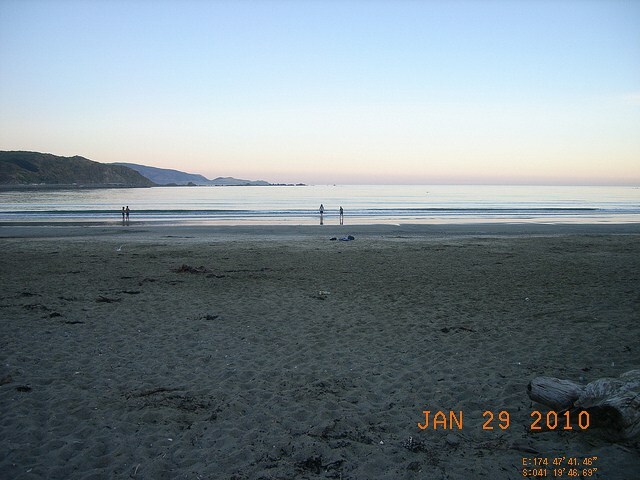 Lyall Bay is located 5 kilometres south of central city Wellington. The bay is 1.6 kilometres in length with grey sand and the entire beach is backed by a seawall. 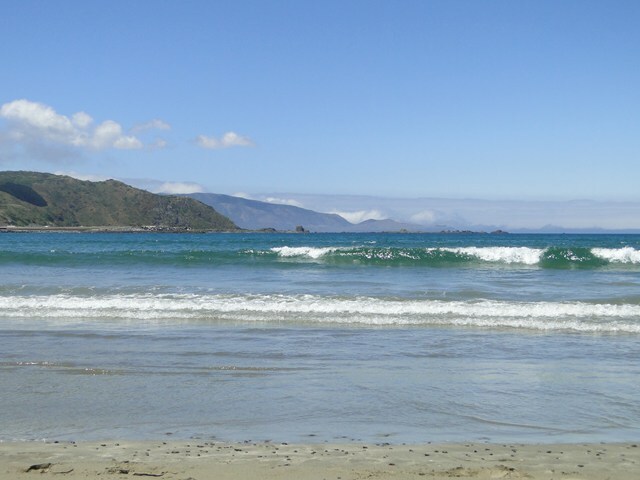 Both Maranui and Lyall Bay Surf Life Saving Club are located at this beach. There is a large boulder seawall along the eastern headland and this is the location for the Wellington International and domestic airport. The bay is backed by residential housing and this extends around the western headland towards Houghton Bay. 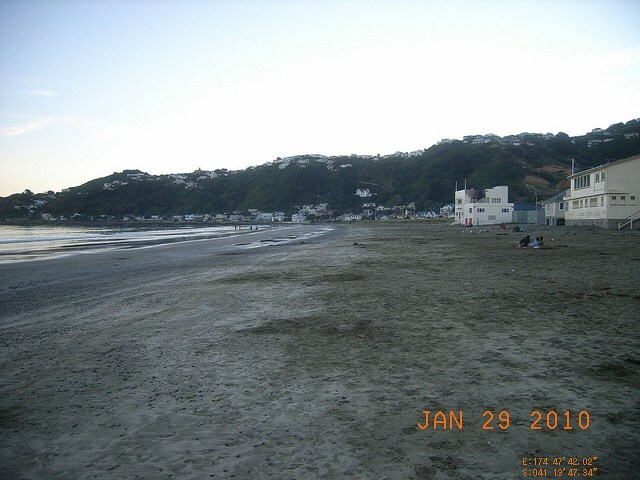 The beach has a large permanent residence and gets many beach users from the Wellington District. The beach is popular year round although the water remains relatively cold.